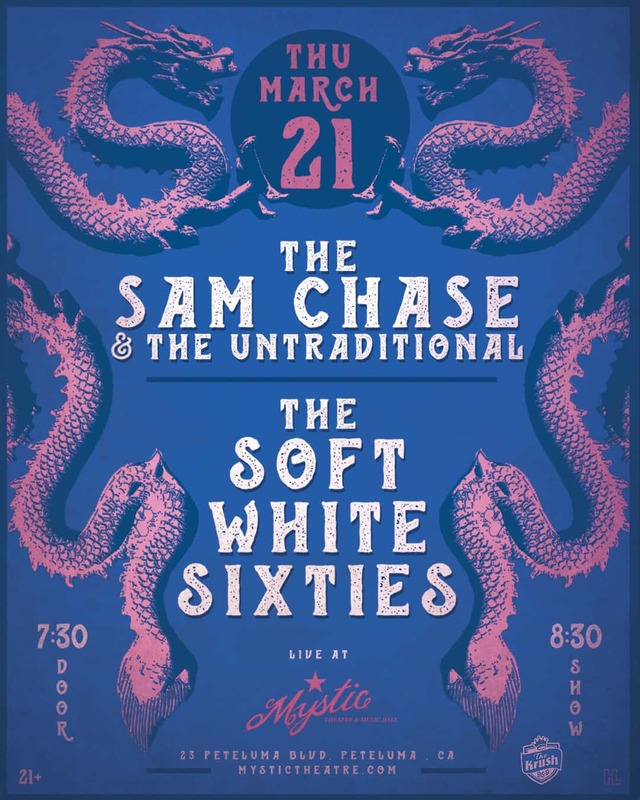 The Krush 95.9 FM KRSH presentsThe Sam Chase & The Untraditional coming to Mystic Theatre on Thursday, March 21, 2019! The Soft White Sixties is a Los Angeles 5-piece expanding upon their contemporary concoction of rock ‘n’ roll and soul while also exploring some of their most relevant lyrical content to date (in both English and Spanish). The sweaty, gyrating energy of their live show has garnered praise from Rolling Stone, Paste Magazine, and LA Weekly over the years and landed them on club and festival bills like Outside Lands, BottleRock, and SXSW, sharing the stage with the likes of The Hives, Rival Sons, The Flaming Lips, and Paul McCartney. Check them out on Thursday, March 21st at The Mystic Theatre. Doors open at 7:30 PM with the show starting at 8:30. Get ready for some lovely sounding music with alot of heart!